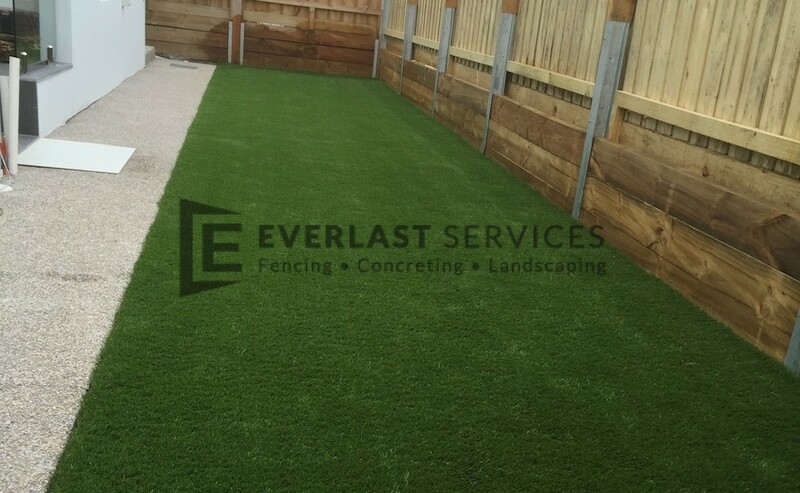 Along with our landscaping designers, Everlast Services (formerly known as GreenIsland Landscaping) also has everything you need for landscaping solutions and installation. Our team benefits from 20 years of Everlast’s experience and has a broad range of skills to cater to your every need. We take pride in our quality workmanship and ensure that your garden will be a beautiful space for you to relax and enjoy for years to come. Drainage, irrigation and water management: Water conservation has become a necessity, so we help you manage water usage in your garden. 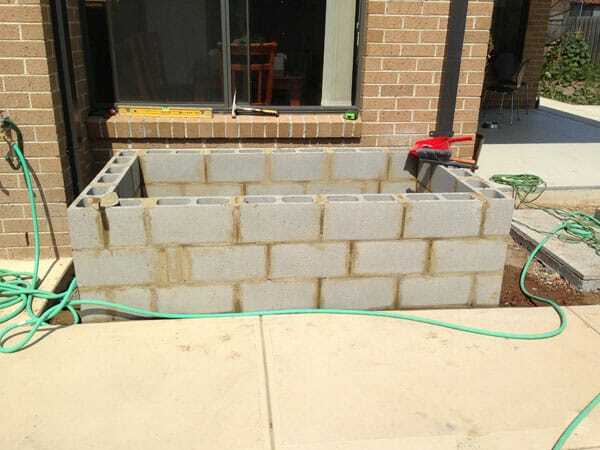 With our expert knowledge of drainage, irrigation and water tank installation, your garden will look at its best, even in the height of summer. 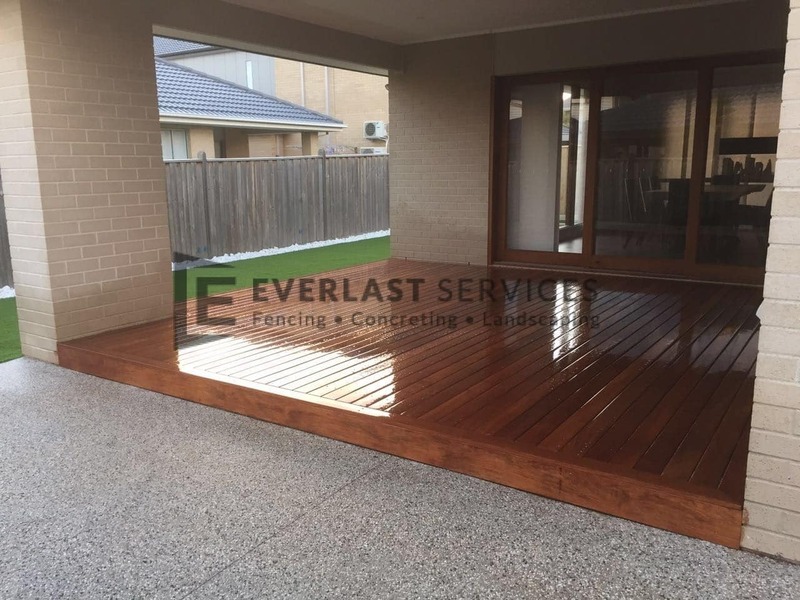 Decking: Our decks quickly and easily extend the living area of your home, providing the perfect vantage point from which to enjoy your backyard or next BBQ. 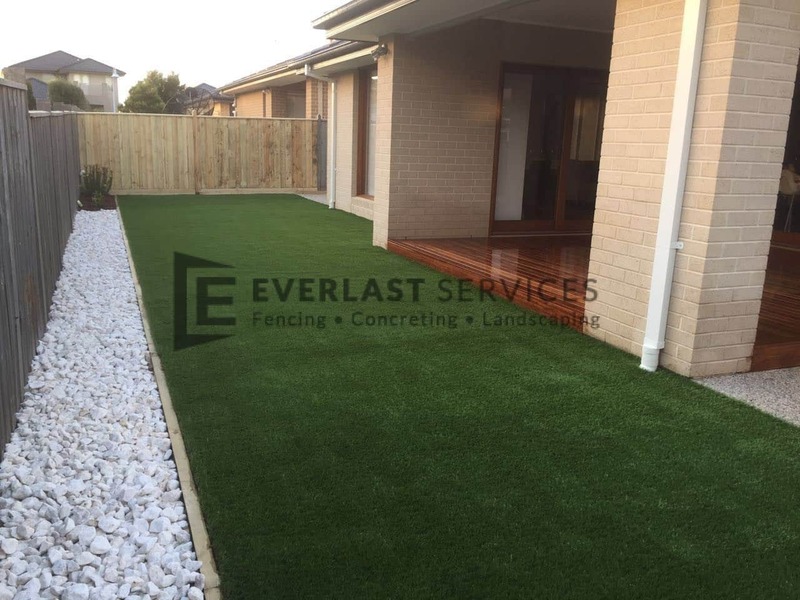 Pergolas: Here at Everlast Fencing, we can custom design and build steel framed pergolas with a whole range of roof profiles, from gable and skillion, to curved or custom designed structures. All our pergola designs are tailored to suits not only your needs, but your back pocket as well. 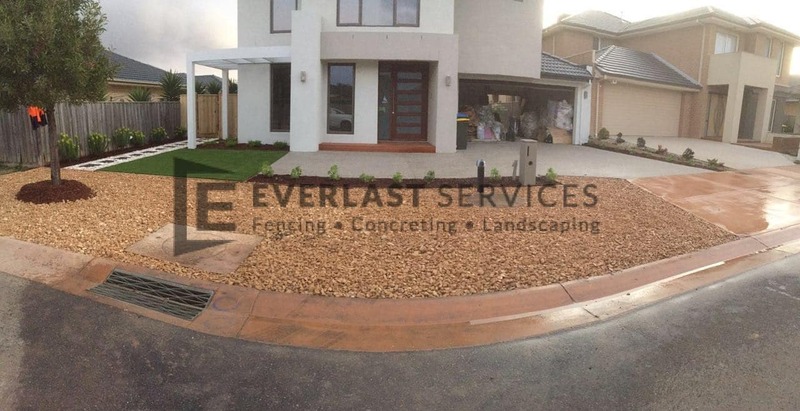 Walkways: Whether you’re after a concrete walkway, or a paved or slate walkway, the team at Everlast will deliver a finish that is second to none. 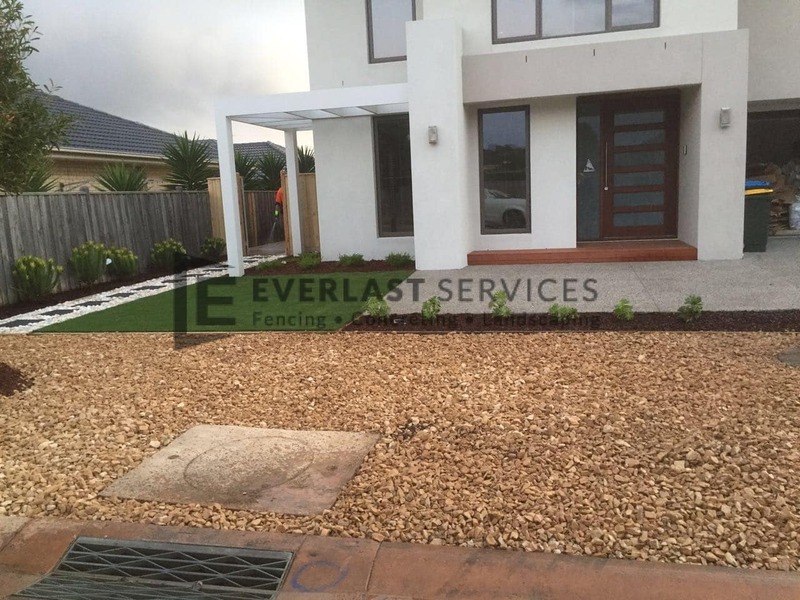 Fencing: Our fencing services and expertise is second to none, ranging from aluminium fencing and swimming pool fencing, right through to Colorbond fencing and driveway gates. Concreting: we’ve got all your concreting needs covered, from concrete driveways through to the myriad of modern stylish finishes offered by exposed aggregate concrete and painted concrete. Swimming pool landscaping: with our expertise in both swimming pool fencing, and concreting, we can turn your swimming pool into its own little tropical oasis, designed to deliver oodles of relaxation time in the sun. Planting: What landscaping project would be complete without gorgeous, luscious greenery? We’ve got planting covered—leave it to Everlast to not only suggest the most appropriate plants for your yard, sun exposure and soil, but to plant them all as well. 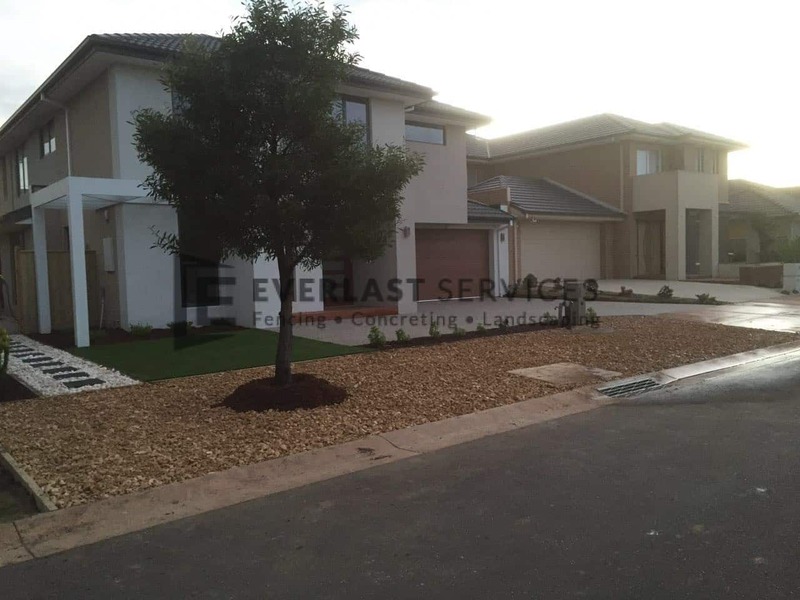 Why Pick Everlast for Landscape Architecture Solutions? With 20 years of experience and a team of experts at your service, you can rest easy knowing that your landscape architecture and installation needs are in good hands. We take care of everything from the design to the clean up and make sure we communicate with you every step of the way. 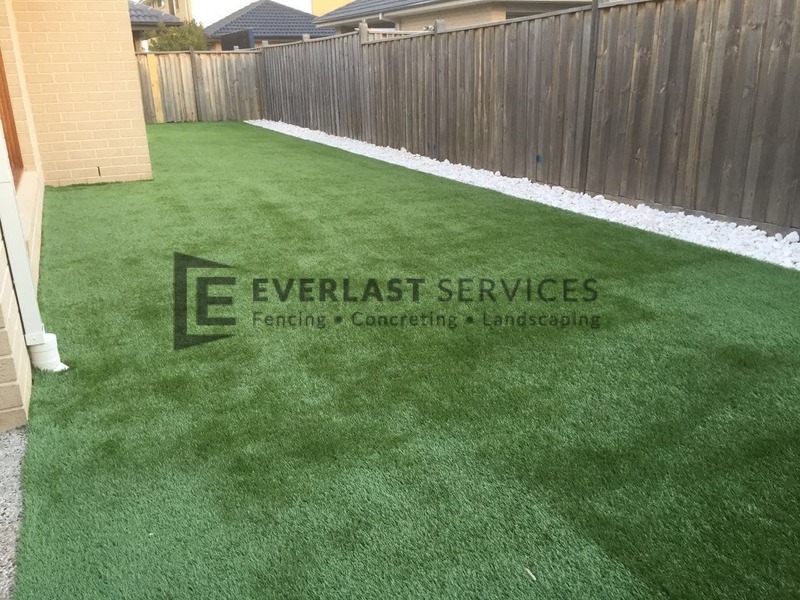 We have the capability to look after every aspect of your landscaping needs, meaning we don’t have to outsource any work – saving you money in the long-term. We pride ourselves on competitive pricing. Our first commitment is to you. We never lose our respect for the customer and this drives us to always push ourselves to deliver perfection.